Park City (United States) (AFP) – If it were a conspiracy thriller it would be dismissed as far-fetched, but Tim Wardell’s astonishing story of triplets separated at birth and reunited by pure chance is all too real. 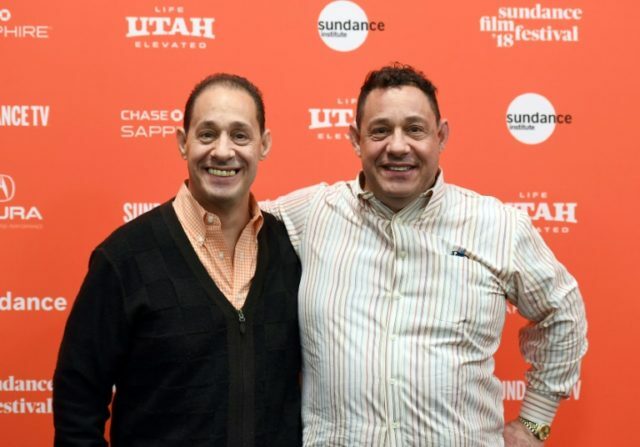 His debut feature documentary “Three Identical Strangers,” which premiered at the Sundance Film Festival on Friday, introduces Bobby Shafran, Eddy Galland and David Kellman, who had no idea they were triplets until the age of 19. But don’t expect “The Parent Trap,” for this altogether darker film shows how the trio’s joyous reunion set in motion a chain of events that unearthed a conspiracy that went far beyond their own lives. The amazing saga began in 1980 when Shafran enrolled at Sullivan County Community College, a two-hour drive north of New York, and was told he had a double called Eddy Galland, who had just quit. Shafran tracked down Galland and, sure enough, they were stunned to find they looked exactly alike, and had the same birthday, interests, voices, mannerisms and even hands. The chance reunion of twins separated at birth was enough to make the front pages of the local tabloids but the coverage unearthed a far more intriguing story. Kellman was reading about the newly-acquainted brothers and realized he, too, looked exactly like them, shared their birthday and was also adopted. The men hit it off immediately, moving in together, transferring to the same degree course in international marketing. “The initial meeting was just complete surrealism. 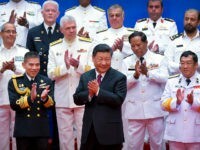 These things that were happening were just so unreal that they were almost dreamlike,” Shafran told AFP. They opened a restaurant — Triplets — selling Eastern European fare and had a ball in the early days, but eventually tempers began to fray as arguments flared over work responsibilities. Wardle uses a mix of reenactments and interviews with Shafran and Kellman, now 56, to deliver the first bombshell — a disillusioned Shafran quitting the business. Then the story takes a tragic turn as it is revealed that Galland had become increasingly depressed and unstable, eventually taking his own life at the age of 33. The mystery around their infancy — why they knew nothing about each other despite growing up within a 100-mile radius — took another twist as journalist and writer Lawrence Wright made a stunning discovery. The triplets, it turned out, were among a number of identical siblings split up as part of a dark 1960s “nature versus nurture” social experiment led by psychoanalyst Peter Neubauer of the Jewish Board of Family and Children’s Services in Manhattan. Visits by researchers throughout their childhoods were explained away as a “child development study” when in reality Neubauer was scrutinizing the brothers’ personalities and relationships with their very diverse adoptive families. “We really didn’t understand just how egregiously these people behaved. As we got older, got married, became parents ourselves, we realized how impactful it was,” said Kellman. Wardle, who came across the story while scouting for new documentary ideas and has spent five years on the film, describes the story as “one of most extraordinary” he’d ever heard. “Right from the off they are very characterful, warm people but there was also a degree of mistrust, which I completely understand,” he told AFP. The Jewish Board finally agreed to give the surviving brothers access to 100,000 pages of heavily-redacted notes on their evaluations after filming was completed. But these were far from a formal research paper and included no explanation as to what Neubauer was doing and why, or what his researchers had learned. Kellman went on running the restaurant for another five years but with Shafran out of the picture and Eddy no longer alive, the venture rather lost its luster. He went on to work as an insurance consultant while Shafran became an attorney. No one has ever apologized to Shafran or Kellman, and the Jewish Board declined to take part in the documentary. It is not the kind of language that sits easily with the brothers, however.